Mr. Kamel Al Asmar, Chosen in 2014 as one of Forbes’s 30 under 30’s Social Entrepreneurs, sat on the selection board of TAKREEM’s Young Entrepreneur category. He is the Founder & CEO of Nakhweh, the first development and volunteerism network for the Arab world. Founded in 2009, Nakhweh is concerned with connecting people who work in the development sector. This helps them expand opportunities, exchange ideas, share knowledge, and promote a culture of proactive citizenship in the region. Mr. Kamel Al Asmar is actively involved in both entrepreneurship and social entrepreneurship, and the empowerment of underserved communities. He works very closely with the youth to spread a culture of proactive citizenship, critical thinking, and social responsibility. His work speaks for him. 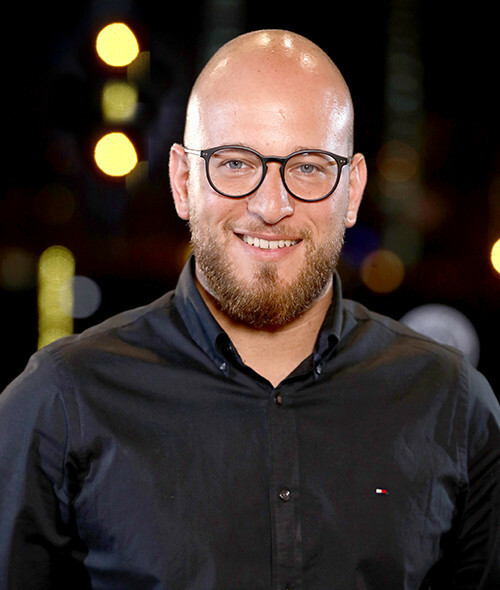 In addition to Nakhweh, Mr. Al Asmar is the founder & chief communications strategist of Ideation Box, a startup founded in 2009 which built its reputation as the leading provider of youth-oriented development communication solutions. Al Asmar is also the Community Lead of Wamda - the enabling platform for entrepreneurs in the MENA region. Wamda works on mobilizing entrepreneurs and mentors, in addition to advancing the involvement of corporates in entrepreneurship. In addition to Forbes’s recognition, he has also received the prestigious Ashoka Fellowship for Social Entrepreneurs in 2012 and has been recognized by the King Abdullah II Award for Youth Innovation & Achievement as one of the top ten finalists for the year 2011. He received its grant at the World Economic Forum (WEF). In 2007, Kamel made it to the top ten finalists of Queen Rania National Entrepreneurship Competition.